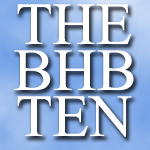 Here it is the BHB Ten for 2014. This year’s list is a Brooklyn Heights residents or business owners who have made an impact on the neighborhood or have done some remarkable work in their field. Please add your thoughts in the comments below. But wait! Before we roll it out, we would like to acknowledge a previous BHB Ten member. 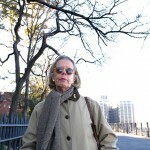 Judy Stanton, BHB Ten 2010: Ms. Stanton, who has served as the Brooklyn Heights Association’s executive director since the early 1980s, announced her retirement from the organization effective August 31, 2015. She has served the community quite well during her tenure and from a personal standpoint her support of BHB has been greatly appreciated. That question may very well be answered in next year’s BHB Ten. The New Preservationists: While some feel that the BHA may be moving in a different direction, the spirit of preservation enjoyed a bit of a resurgence in 2014. People for Green Space’s Martin Hale and Lori Schomp along with Heights Hero Joe Merz launched a bid to halt and to rethink housing at Brooklyn Bridge Park’s Pier 6. Later in 2014, Columbia Heights resident Steven Guterman started a grassroots campaign called Save the View to fight Brooklyn Bridge Park’s Pierhouse development, which they say is growing taller than originally promised. Whether or not you agree with their positions – or for that matter the position of last year’s BHB Ten members Citizens Defending Libraries – one thing is clear: the legacy of Brooklyn Heights preservationism started by the BHA and the CCIC is alive and well and marching forward. Michael Schlein, CEO of Accion: As CEO of Accion, Schlein leads one of the world’s largest microfinance organizations. The firm provides loans to impoverished people to further their education, or to start a business. In April, he as named Chairman of the NYC Economic Development Corporation by Mayor de Blasio. Red Davis, owner The Custom House: Red has created the closest thing we have to a traditional neighborhood pub, replacing Eamonn’s for many of its regulars. Its 4AM closing time also makes it the go-to after hours spot for Brooklyn Heights restaurant and bar staff. The pub became the place to be to watch the World Cup in the Heights last summer as well. This winter, the Custom House hosted another successful Toys for Tots drive. Jackie Hopson, founder Bodybinds: The designer launched Bodybinds in 2014, which the NY Post says is “beloved by everyone from pole dancers to lingerie aficionados.” On her website, Hopson adds, “Picking up my new hobby in Pole Dancing, helped hone what I desired to create. That’s how Bodybinds was born. What I am passionate about is the idea that each woman can wear something to celebrate her glorious curves.” Now, who says Brooklyn Heights is boring? Outraged Parents: From Wifi Dad and Upset About Alleged Public Urination Dad to Outraged Kindergarten Mom, 2014 saw it’s share of …well… outrage. Sarah Jane “Sadie” Horton, president, and all the folks at the Brooklyn Women’s Exchange: The Brooklyn Eagle notes that the 160 year old BWE is, “the oldest continuously-operated women’s charitable organization in Brooklyn.” It’s a great and friendly place to pick up a gift or something nice for yourself(!). Deborah Schwartz, Brooklyn Historical Society: The exhibits and programs at the Brooklyn Historical Society get better every year and 2014 was no exception. There were more panel discussions (Homer’s pal Erik Parker was a guest recently as seen in the video above) as well as the addition of free family programs on Saturdays. Jack Antonoff, musician: Some may know Antonoff as Lena Dunham’s significant other. But music fans know him as the frontman of Bleachers and as a member of the wildly successful pop trio fun. Bleachers’ album Strange Desires was one of the best albums of 2014. And if you haven’t listened to Antonoff’s interview with WTF’s Marc Maron, we suggest you stop everything and check it out now. Abbi Jacobson, star, Broad City: Jacobson and co-star Ilana Glazer started Broad City as an online show and it graduated to Comedy Central. Many see it as an alternative to Lena Dunham’s Girls but we basically think it’s more like if Cheech and Chong had a love child with Lucy and Ethel. One of the funniest shows on TV returns for a second season on January 14. Still Spinning: Vinyl in the Digital Age from CUNY Video Journalism Module on Vimeo. Thomas Bernich, Co-Founder/Owner Brooklynphono: – In operation for 15 years, Bernich and Brooklynphono are in the vanguard of the vinyl renaissance working with indie labels such as Norton, Crypt and Sundazed. Really? Lena Dunham’s boyfriend and his band, and the owner of the Custom House, but not the PS8 PTA who are working tirelessly to make a change to our community? REALLY???? Usually the comments for this list are more like: I would like to add… Just sayin’. For some strange reason some people in BH are enamored of celebrities who live here. True Brooklyn Heights people could care less. Perhaps because the PS 8 PTA isn’t a person. Even Homer’s wine fueled angry mommy friend made the list. Wonder what he has against PS 8. Really? Lena Dunham’s boyfriend and his band, and the owner of the Custom House, but not KIM GLICKMAN and ANSLEY SAMSON – 2 actual people – who are working tirelessly to make a change to our community? REALLY???? You’re rude — plain and simple. The owner of the Custom House is one of the most quietly charitable people in the nabe. What’s with the ‘tude? How about a list of Kim and Ansley’s (nice all caps, btw, adds to your like-ability) accomplishments. Educate rather than berate, perhaps? REALLY??? Yes, really. Yeah but it doesn’t make me less right. Have an electric day! How about the wonderful folks at Toll Brothers who are working tirelessly to make our neighborhood more accessible to asset-rich folks and tourists. Hope that hotel has an outdoor bar on top! What bothers me about the outraged parent entry is that it pulls people like Wifi Dad, who was concerned about an obscene wifi network name, into a group with those who are working hard to mitigate serious, long-term issues like overcrowding at PS 8, i.e. the PTA and others. And it gives more play to the woman who published the rant about the PTA meeting than to those who are doing the difficult work of trying to bring about change and improvements for neighborhood children and families. I think the PTA deserved a place on this list, but it also deserved not to be mocked by the insinuation that it belongs in the same category as Wifi Dad and Public Urination Dad. You’re thinking far too much about this. Love the list. I love the inevitable whining about it even more! Question to the clear “PS8 Parent” lobby. Did you nominate people before this? Would have loved to have heard your thoughts, sincerely. And, in any case, why do their friends here- present with such a negative spin? Boo. For what it’s worth, I am Ansley and although I am glad to hear that people like what we’re doing as a PTA, I want to go public and thank this blog for the important ways it supports the PS8 community. It was particularly notable this fall as we began our advocacy efforts around PS8 overcrowding — the editors publicized our meeting and letter petitions; they even invited a guest post from the PTA about our overcrowding meeting. This blog is a great community resource, and I consider it very supportive of PS8 and PTA. Thanks BH Blog! Now I’ll try to slide back into anonymity . . . I don’t know how anonymous you can be with an almost-anagram as a screen name.